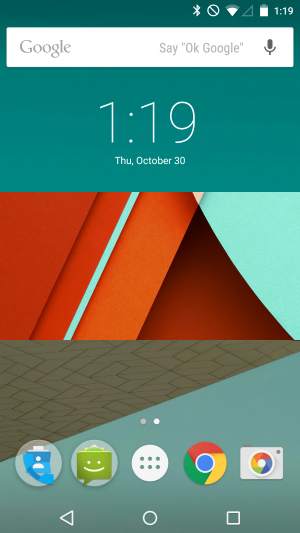 Android 5.0 Lollipop is a big change from Android 4.4 KitKat. It changes the interface, using what Google calls “Material Design“, which is based on the idea of tangible layers. This design scheme is seen throughout the entire OS, but along with these visual changes, Android 5.0 benefits from some excellent updates, adding more usability to sections like notifications, better battery life, and multiple user accounts (great for parents). If you’re new to Android with Android 5.0 Lollipop, you may be surprised at all the options available. This is especially true if you’re coming from iOS, in which case you should read our tutorial about switching from iOS to Android. Current Android users will be able to jump into Lollipop will little problem, but Android newbies may get confused. 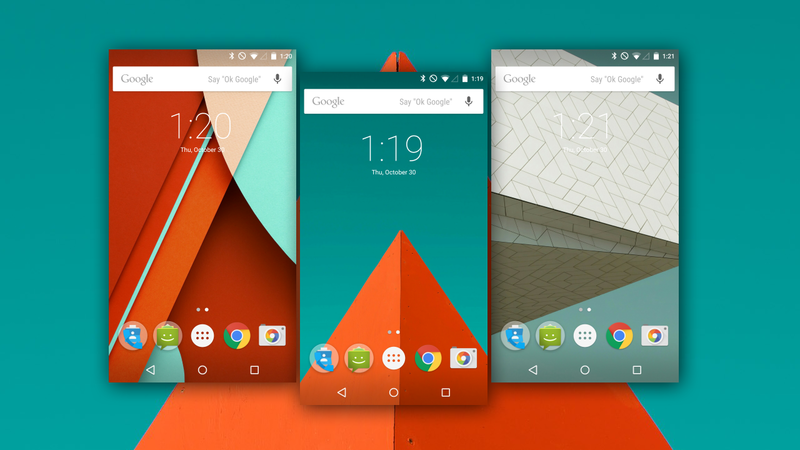 Android 5.0 Lollipop is rolling out now so get ready with this guide. If you’re using an older Android device with NFC and have upgraded to a new device, you can use a feature called Tap & Go. It works the same way that Android Beam works when pushing content from one device to another. 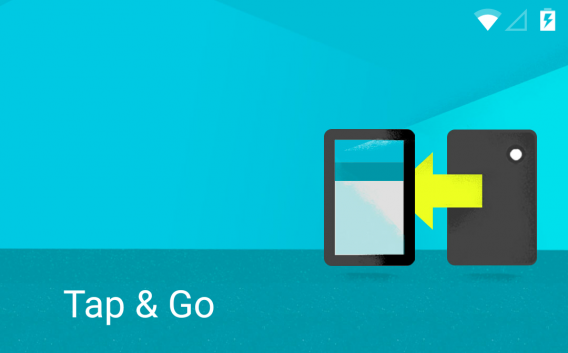 The difference with Tap & Go is that is restores your existing system settings and apps to the new device. You will have to download apps again, but it makes the process much easier than before, where a restoration could include your entire library of apps rather than the select ones that you use. Take note though, that while Tap & Go works with any Android device with NFC (including custom ROMs) and the latest Google Play Services app, it will only directly mirror the Google Launcher. This means that people using custom launchers will have to setup the launcher again. Lollipop will ask some standard questions during setup, like to enable Google Now and asking for feedback from the device. It’s up to you to allow Google to collect these stats. The apps will then download to the device (I’d recommended letting the device restore on a Wi-Fi connection). You can also use another option that lets you choose which apps to install. This is a good way to streamline your app library by not installing apps you don’t use. This setup only works if you previously had a Google account and an Android device. If you’re going to use an Android device, you’re required to have a Google account. Your account is the gateway to Google’s different services and apps, going beyond Gmail to includes the Google Play Store, Google Maps, and a lot of other services like contacts. If you don’t have a Google account, create a Gmail account. This will let you log into the different apps that will save your information and share it with other apps. Of course, you may already have a Google account even if you’ve never used Android, and your Gmail account can be used to sign into the device. Be aware that while Google does collect information, it’s used to improve the different services within the Android ecosystem. You can opt out of a lot of services, although you will be missing some features. Before you download a single app, you should customize settings. Customizing individual settings will tailor your device to your needs. A lot of these settings can have an impact on battery life, and it might be better to disable some features. Lollipop is said to have a better battery life, but it’s still know known how much better it is. Whenever you’re home, connect to your wireless network. 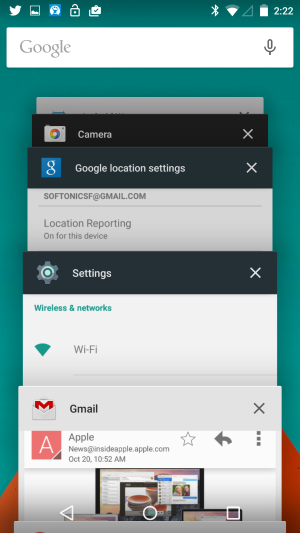 By switching Wi-Fi on, Android 5.0 Lollipop will scan for available networks. 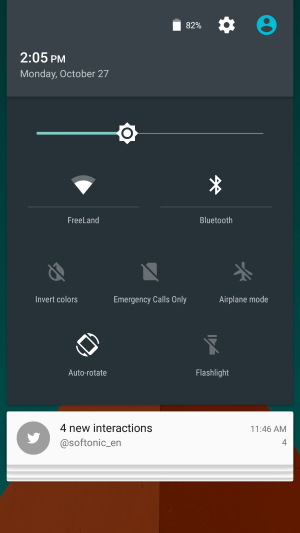 During the initial setup of Android 5.0 Lollipop, it will ask to connect to a wireless network, so you should already have access. Tap on the three dots icon for more options, and then tap on Advanced. One option you might not need is Scanning always available. This allows apps to scan for networks even if Wi-Fi is turned off. Always scanning can affect battery life, and most likely, you won’t need this option enabled. 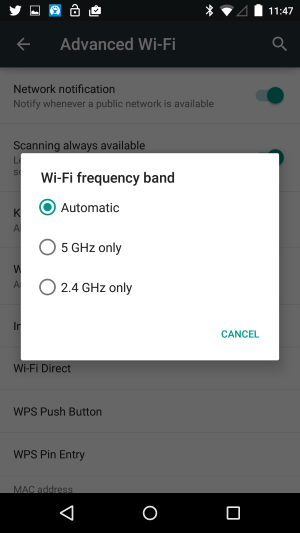 Another option is Wi-Fi frequency band. Depending on what type of router you have, it will support only 2.4 GHz, only 5 GHz, or both. If your router is old, it probably doesn’t support 5 GHz. A problem in Android 4.4 KitKat was that scanning for both frequencies could cause connection problems. If you know what frequency your router is, select that specific band. In most cases, leaving the 2.4 GHz option selected leads to fewer problems, but this issue could be solved with Android 5.0 Lollipop. 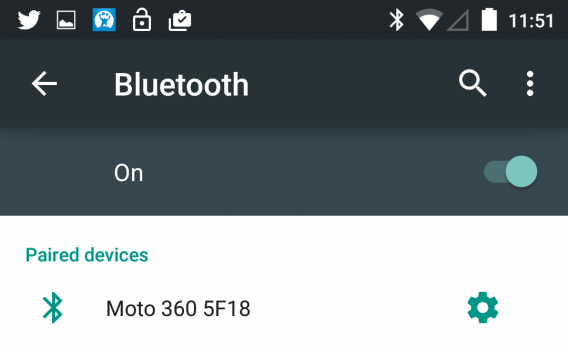 If you connect your device to any Bluetooth devices like an earpiece, car, or Android Wear, you’ll need to enable Bluetooth. If you never use Bluetooth, turn it off because it will scan for different devices. The Data Usage meter is a great tool if you have a data cap on your wireless plan. Android 5.0 goes even farther with Network Restrictions. 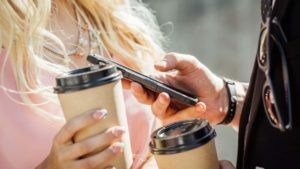 It will set wireless connections like cell data plans and restrict background data. This is helpful if you have a data cap on your home internet service. Otherwise, you can leave this option alone. There are a lot of options under the More section. If you’ve used recent version of Android though, the options are the same. 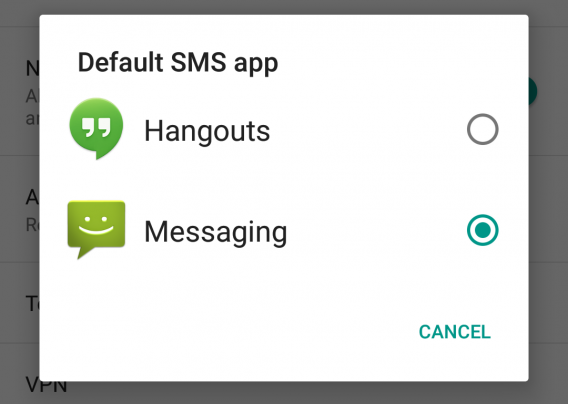 The main feature you’ll want to look at is the Default SMS app. 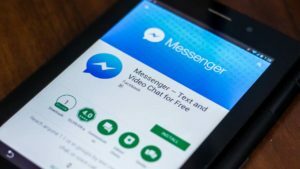 Google pushed Hangouts to combine SMS/MMS and Google Hangouts in one app, but in Android 5.0, the Messaging app is back. Google wants to give people the option of choosing from using Hangouts or a stock app. This feature is used with Google Wallet payments and sharing other forms of content. It doesn’t use a lot of battery so you can leave it enabled without worrying. A big drain on battery is the screen. In most cases, you can use Adaptive Brightness and the phone will dim when necessary. If you want to get the most out of the battery manually, set the screen brightness as low as possible. Sleep on a phone refers to when the screen automatically turns off. In most cases, 15 seconds is plenty of time, unless you’re reading something and you don’t touch the screen. At most, the option should be set to 1 minute, but you’ll still see the battery drain faster than if it was set to 15 seconds. 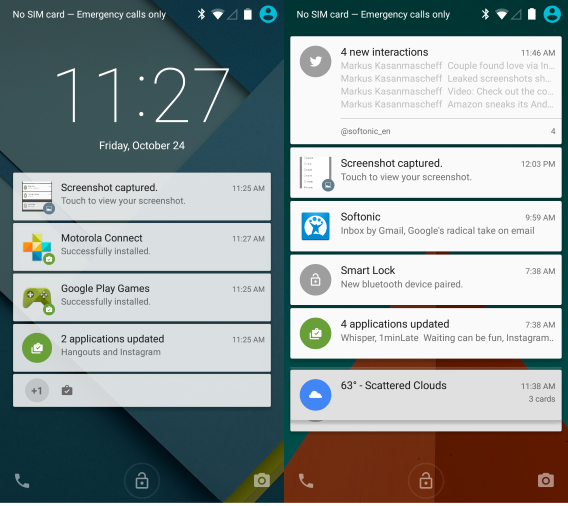 Android 5.0 Lollipop has expanded notifications a lot. It’s added a lot of new features to make notifications more useful. One big addition is that notifications display on the lock screen and it’s much easier to act on them. 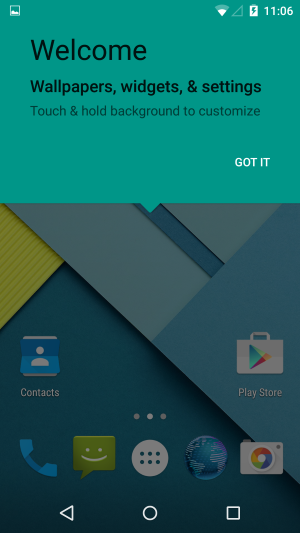 This new feature adds a priority mode to Android 5.0. 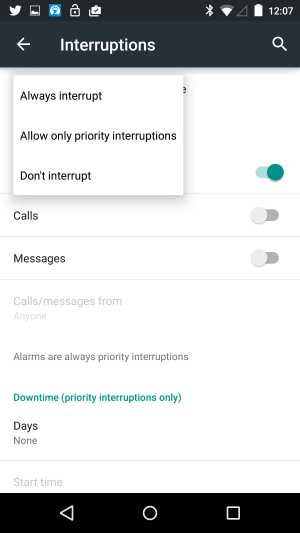 You can set priorities to different things like events, calls, and messages, but the feature won’t work unless you set Downtime for when priority interruptions will display. Essentially, it works the same as iOS 8’s Do Not Disturb. You can set specific days and the time range to silence disturbances, but the best use is probably to silence your phone when you’re sleeping so that you’re not woken up with a message. Android notifications are great, but sometimes it can get overwhelming. There are new options like what notifications display on the lock screen. 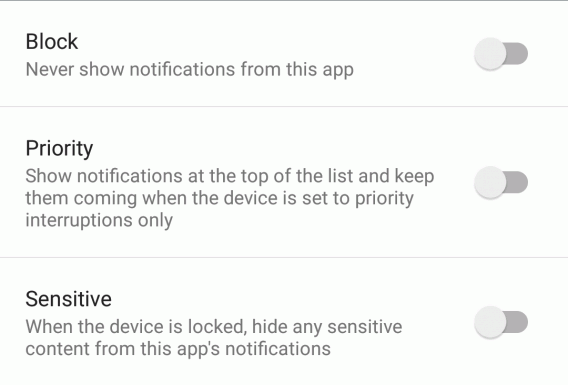 App Notifications are app-specific settings for the type of notification. You can entirely block notifications (great for spammy social media apps), mark it as priority so it always displays, or mark it as sensitive so that it doesn’t display on the lock screen. The When device is locked and App notifications options work together, so you’ll need to customize your apps after you’ve installed them all. 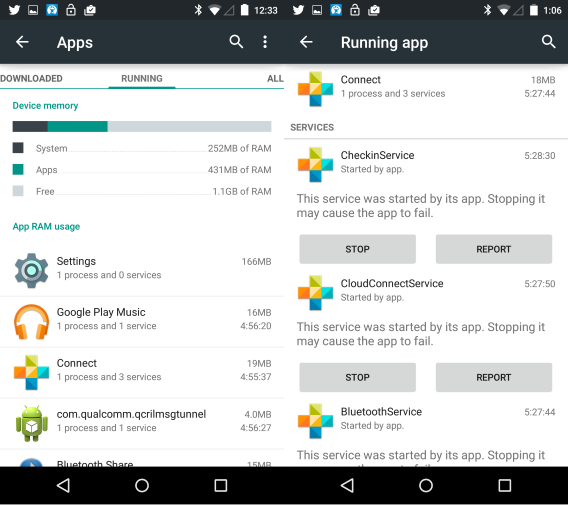 The main use for Storage is to clear Cached data in Android. 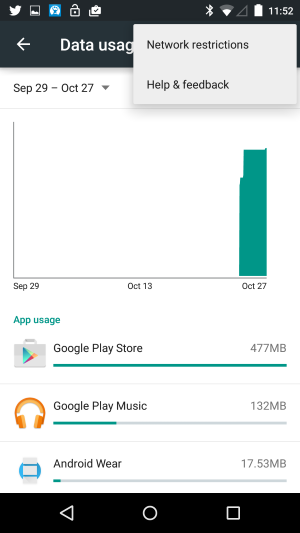 If you use streaming music apps, they will usually cache playback data, and this can consume a lot of space. Otherwise, Storage is a simple way to track space. The Battery section shows system services and apps that are using battery. 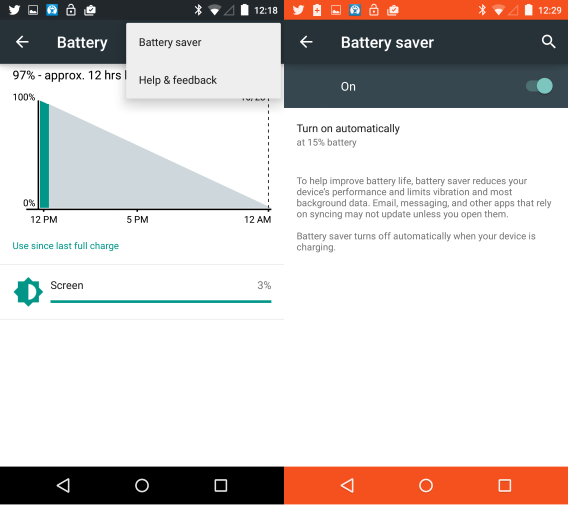 Android 5.0 Lollipop has improved battery management by adding approximate remaining time. If you tap on the three dot menu and select Battery saver, there will be two options. One is to leave it on all the time, which adds a Google Play Music-style orange bar to the top and bottom of the screen. While it’s useful, Battery saver will slow down performance and restrict background updates to apps like email or messaging, to save battery life. The second option is to let the feature automatically turn on at 15% or 5% battery. This is a better option because it will restrict the device when you need battery the most. According to Google, Lollipop should have improved battery life, but adding this feature will still be useful for older devices. The Apps section supplies a lot of information. The first section, Downloaded, displays all the apps you’ve installed. You shouldn’t be surprised about apps in this list. An addition to this section is the Device memory meter that sits above the Running apps section. It shows the amount of RAM that’s being used by the system, as well as apps and available free RAM. This is great for people who want to know which apps are using a lot of RAM. When you tap on an app to see detailed information, you’re shown the different services and processes. You also have the option to “Stop” or “Report” the app. Reporting the app will give Google some information about your device and how the app is running, but it also gives Google data about possible malicious apps. A feature that was only available on Android tablets now comes to Android phones. 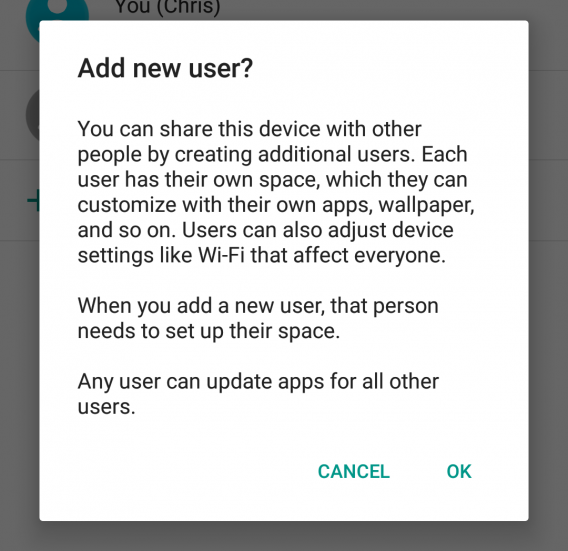 You can now create multiple users on a single phone, giving each person their own section to use. If you already have a Google account, you’ll able to log into the device with it. Location reporting is necessary for apps like Google Maps or Foursquare. The problem that can arise is that location services can drain battery a lot if your device is sending data all the time. 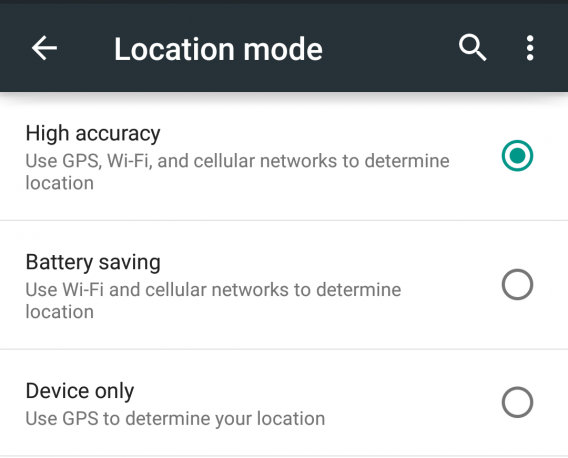 You can set the accuracy level in the Location settings for High accuracy, which uses GPS, Wi-Fi, and cell data for your location. Battery saving only uses Wi-Fi and cell data, while Device only uses only GPS . If you want your battery to last, set your option to Battery saving, but expect a delay with apps that rely on location. You must enable a screen lock on your device, the first step in security for your device. Android offers four options: swipe, pattern, pin, and password. Swipe isn’t even a lock, it’s a way to see notifications before entering the home screen. Pattern, Pin, and Password are more secure ways to lock your device, and one of these should be enabled. You should also set the auto lock for the screen. 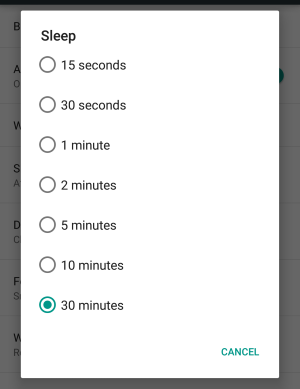 There are a lot of time options, but you should either set it to “immediately” or at a maximum of 15 seconds. Owner info is a way to put contact information if case you lose your device and if you have Android Device Manager enabled, you’ll be able to locate your device using the web. 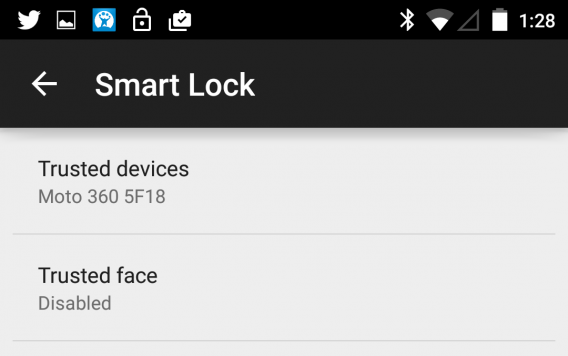 Smart Lock is a feature using trusted devices paired with Android. Google highlights the feature with paired Android Wear, and it works by recognizing a paired Bluetooth device. If it’s connected, you don’t need to use your screen lock code. The moment Bluetooth is unconnected, the device requires the screen password again. Another option is Trusted Face. Using the front camera, it looks at your face and unlocks the phone. The problem with this feature is that it’s not as secure as the other methods, although Google admits that before you can set it up. 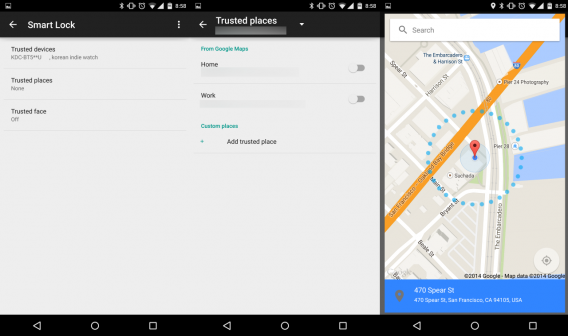 The release of Android 5.0 also included another option called Trusted Places. This lets you setup a secure place where your device will never require your screen lock password to unlock a device. It’s a great option if you’re home or at work, but keep in mind that having your device unlocked negates any security. By default, any preloaded device will have device encryption turned on. If you’re upgrading to Android 5.0, you should encrypt your device. Be aware that the setup will take at least an hour, during which time you shouldn’t touch your phone at all. 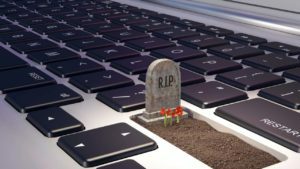 When it comes to Device administration, you should be most concerned with Unknown sources. 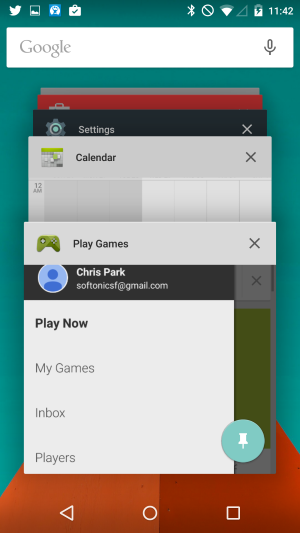 Enabling this option lets you install apps outside of Google Play. Unless you know about APKs or develop apps, you shouldn’t have this enabled because it can give apps unnecessary access to your device. To be safe, you should only download apps through the Google Play Store. This option lets you lock an app so that you’ll only be able to use that app for the time being. It works via Recent apps, where you’ll see the first app with the pin icon at the bottom right of the card. Tapping on the pin locks the device to this single app. To exit, hold the Back and Recent buttons at the same time. If you want to add an extra layer of security, you can enable the option to ask for the unlock pattern. This is where you can view all the different accounts that you’re signed in to. This includes Google, social media, and other apps that require syncing. You should recognize all the apps in this list. Back up my data will save data to Google servers. This includes apps, passwords, and other settings. 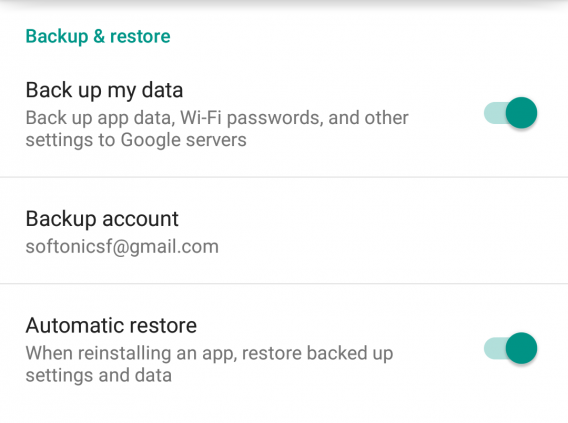 Automatic restore allows Google to restore backed up data. These are the most important sections of Settings that you should set up if you get a new device. If you pull down the expanded notifications again, you’ll see Quick Settings. This area includes options for Wi-Fi and Bluetooth, along with a new Flashlight icon to use the camera flash as a flashlight. You also get battery percentage and the gear icon for Settings. 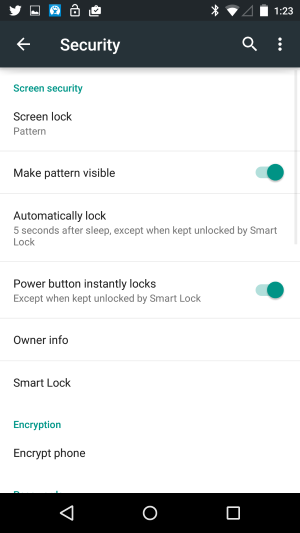 If you have a screen lock, you will need to unlock the device before you can access Settings. To dismiss all the notifications, at the bottom of the notifications, you’ll see three staggered bars. Tap on them to dismiss all notifications. Changing Material Design also changed the Navigation Bar (the bottom set of icons), although the refreshed icons perform the same functions as before. Android 5.0 also changes the way that apps are presented by creating cards for each app instead of square snapshots, which was the same since Android 4.0 Ice Cream Sandwich. An interesting feature is that with the recent apps, different sections are shown as separate cards, and you can scroll through them. The redesign of this section makes it a lot easier to navigate, but it could also get congested quickly. You can also pin apps to lock them so that, for example, if you’re handing off your phone to show someone something, they won’t go snooping. 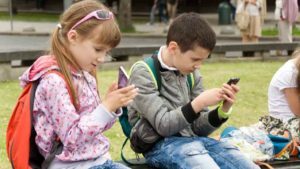 It’s not a feature that most people will need to use, but for parents, it’s a great way to lock a game for kids to play without being able to access the rest of the phone. If you’re already using Google Now, you know the power it has. 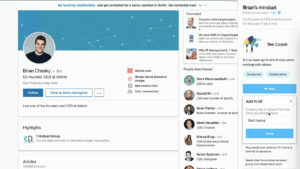 Connected to your Google account– notably, Gmail– Google Now supplies a lot of information. While it takes time to customize it and get really relevant results, the Google Search-connected feature is worth it. Google Now received quite a nice update in Material Design. Previously, Reminders, customization options, and settings were hidden at the bottom of the screen. Now, they’re available through the menu tab in the Google search bar. This makes it much easier to customize your results and choose what kind of updates you get. 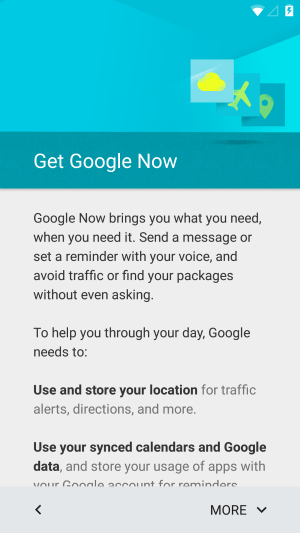 Google Now gets better the more you use it, so it’s a feature you shouldn’t ignore. Android 4.4 KitKat users won’t be surprised with the addition of widgets to the home screen. Just tap and hold the screen and you’ll open the options for wallpapers, widgets, and settings. The settings menu isn’t Android 5.0 settings, but Google account settings. You can set different search options, voice, accounts, privacy, and Google Now notifications. Note, while using widgets for updates is useful, it can affect battery life. 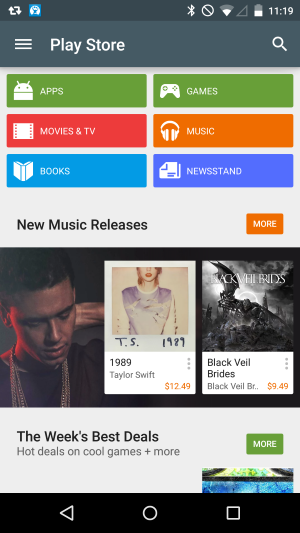 The Google Play Store is Android’s store for apps, movies, music, and reading. Android 5.0 Lollipop’s Material Design improved the Google Play interface a lot, making it easier to find, download, and buy content. 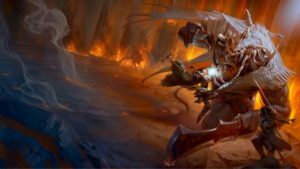 Games has subheadings for top lists, but quality can vary a lot. 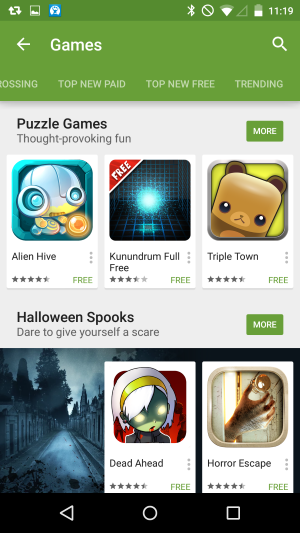 In the Apps section, you will find all the non-games apps. 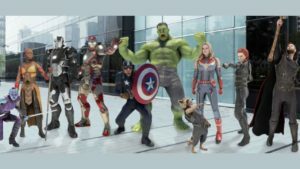 Movies & TV has tons of shows that can be bought or rented. 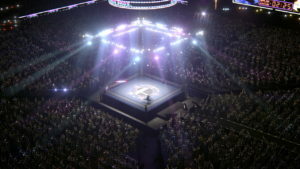 If you purchase them, you’ll be given the option of downloading in standard or high definition, for when you’re offline or streaming them. There are also sections for magazines and books if you like reading. The same downloading option is available as that for Movies & TV, otherwise the content is streamed to the device. Google has spent a lot of time improving Android by pulling apps out of the operating system and supplying them as individual apps. While this does increase the number of apps you’ll have, having these apps available as standalone downloads means that Google can update them whenever it’s required, rather than offering an entire update to the Android OS. Since Android 4.0 Ice Cream Sandwich, the incremental improvements to the operating system have made it more powerful and useful. With Android 4.3 Jelly Bean and Android 4.4 KitKat, many of the final steps were put in place, and Android 5.0 Lollipop is the result of all this work. When Android 5.0 Lollipop is officially released, there could be even more improvements, but for that, we’ll just have to wait and see.